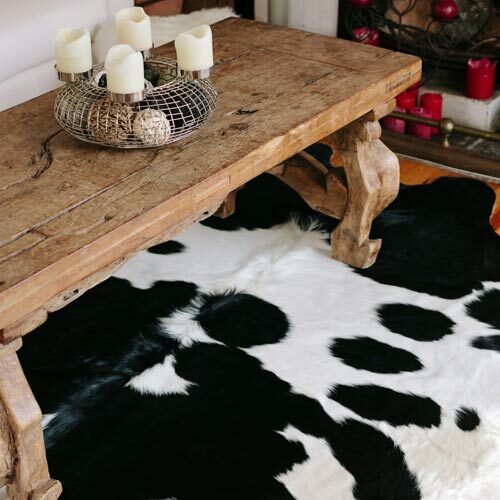 A Cowhide Rug provides a distinctive luxurious modern way of living in any home. It is a fine example of natures beauty that fits nicely as a centrepiece in any decor. 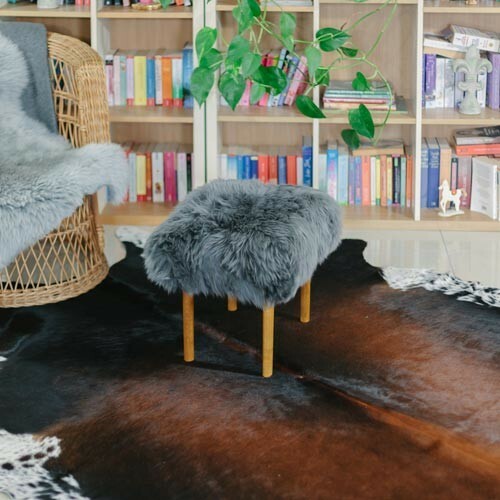 Research states that owners love their cowhide rugs due to their natural beauty, versatility, their hypoallergenic characteristics, easy maintenance and durability. 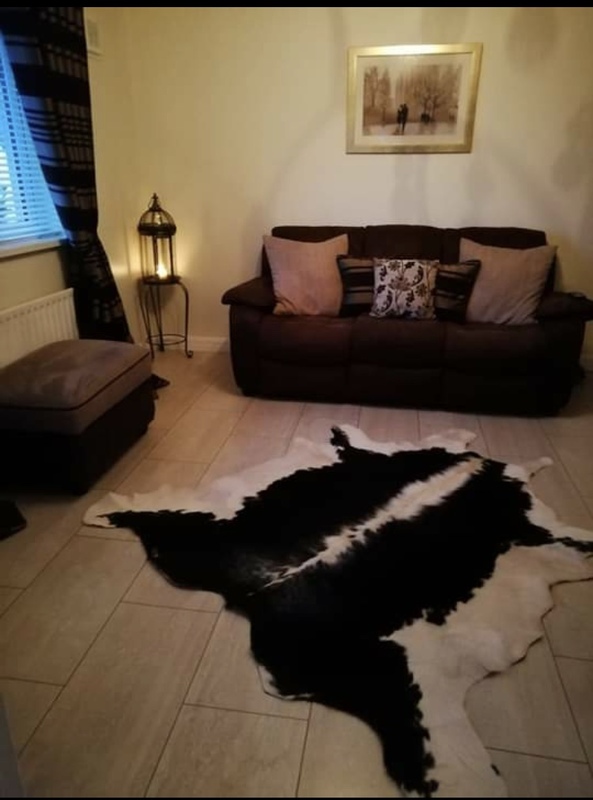 Cowhide Rugs are not only suitable for on floors but can be hung on a wall or framed, an excellent centrepiece in any room and topic of conversation! Leather furniture can be accented perfectly by utilising the Cowhide as a throw, giving a rustic look. 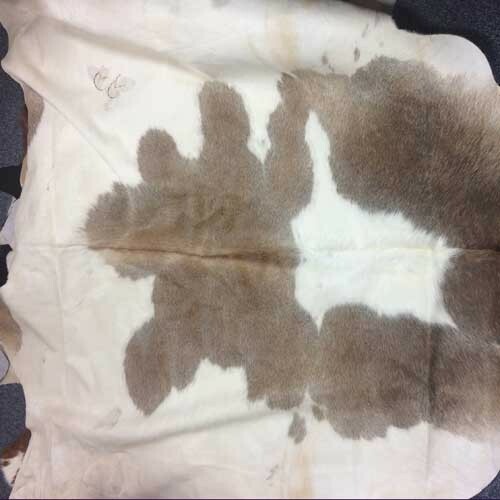 Cowhides come in a variety of colours both natural, stencilled and dyed. If you are looking to make a statement, the solid dyed Cowhides would make an excellent choice! Cowhides maintain their natural, soft and pliable feel and they can be tailor made in any colour to suit your home or office. 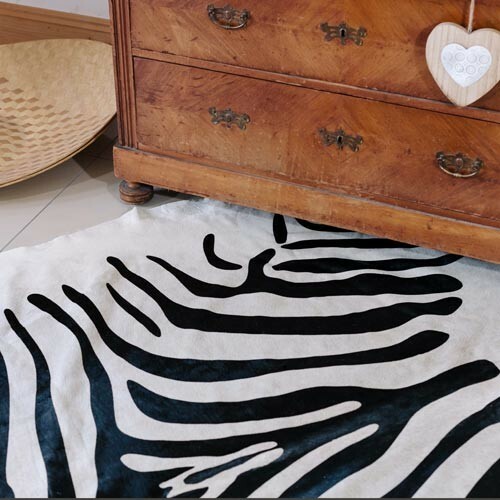 Our quality Cowhide Rugs are hypoallergenic and fragrance free. No need to be constantly vacuuming or cleaning the air in order to breath freely and peacefully. With cowhides, each breed tends to have their own set of colours that distinguish them from others. Cowhides are each as unique as the person who owns them and they are one of a kind! 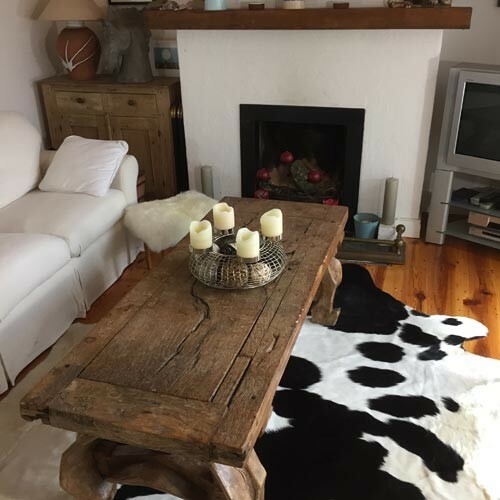 Cowhides are extremely durable – owners can enjoy them over a life time with just simple care. Shake your cowhide rug once a week. 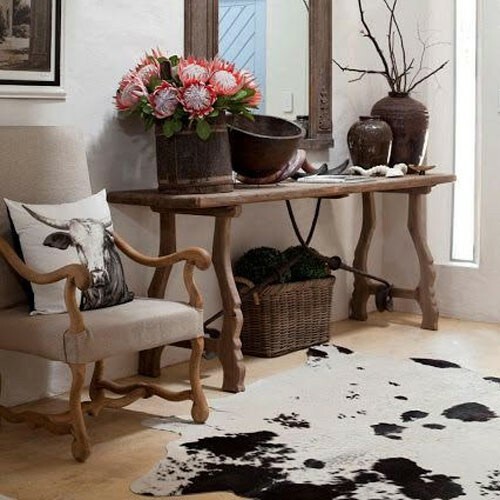 It a good idea to take your cowhide outside and give it a vigorous shake on a regular basis and fresh air. Clean with mild soap water and damp sponge. Steam clean with little water. Do Not dry clean or wash in a washing machine. I would thoroughly recommend Connaught Hide and Wool to anybody. The advice given from the start was second to none and the product knowledge excellent. I advised what my preference in a Hide would be and when it arrived (extremely quickly and efficiently by courier), it completely exceeded my expectations. The hide holds pride of place in our home and we will admire it for years to come. 5 Star service and product. I’m really delighted with my mahogany cowhide rug. Excellent value for money and speedy service from Connacht Hide & Wool…. Thanks to yourself, and Emelia for your excellent client service, and even more wonderful Cowhides! They arrived safely, and are even better than their pictures! I am so pleased with them. I’d strongly recommend any other purchasers look no further than your company as the place to go! 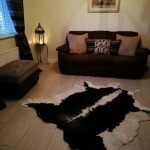 We are very happy with our mahogany cowhide- it is installed in our sitting room as I type! Thank you for the prompt delivery. I have & will indeed be sharing your details with friends & colleagues. Thanks so much to Eamonn, Emilia, and all the staff at CHW. They couldn’t have been nicer to me, a picky customer, and their customer service and attention to detail is second to none – nothing was too much trouble! The quality of the product was excellent and I’ve no hesitation in recommending them to friends and family. I know I will enjoy my hide for many years to come, and plan to become a returning customer. A lovely photo from another happy customer. Free Shipping For All Orders over €60 in Ireland and €200 worldwide. Delivery within 2-4 working days.